Lawmakers in Nebraska officially abolished the death penalty, overriding the governor’s veto and successfully countering his intense lobbying efforts on the issue. It is the first conservative state to end capital punishment since North Carolina in 1973. Governor Pete Ricketts (R) vetoed a bill eliminating the death penalty on Tuesday, but lawmakers were able to sustain their veto-proof majority and override his opposition in a historic 30-19 vote. Two legislators changed their votes to back Ricketts’ position, but the 30 votes needed to cancel out the veto were still there. Nebraska has now become the 19th state, in addition to Washington, DC, to abolish the death penalty. The last state to do so was Maryland in 2013. The state currently has 10 people on death row, but now their sentences will be commuted to “life without the possibility of parole.” Earlier this week, a death row inmate died after spending 30 years behind bars. Notably, the push to repeal the death penalty involved conservatives as well as liberals and independents. While Republicans generally support the death penalty, those in Nebraska who opposed the method did so for religious and fiscal reasons. Others also argued that Nebraska was unlikely to execute anyone in the near future, since growing legal concerns over the shortage of lethal injection drugs in the US have delayed several executions in multiple states. The last execution in Nebraska was done by way of electrocution in 1997. Gov. Ricketts has tried to stave off repeal by arguing that he has found a way to acquire the necessary lethal injection drugs, but opponents questioned if use of the drugs would actually be permitted by the courts. Oklahoma’s drug combination, for example, is now under review by the US Supreme Court. "Once we take this step, there is not going to be a falling apart of this state," Omaha Sen. Ernie Chambers said during the Legislature’s debate on Wednesday, according to the Journal Star. "This building will not implode." However, Gov. Ricketts criticized lawmakers for overriding his veto. My words cannot express how appalled I am that we have lost a critical tool to protect law enforcement and Nebraska families. Ricketts had previously said that the public overwhelmingly supports capital punishment and argued that the state would not save money by abolishing it. Nebraska is now the seventh state to end the death penalty since 2007, joining Connecticut, Illinois, Maryland, New Jersey, New Mexico and New York, according to DeathPenaltyInfo.org. 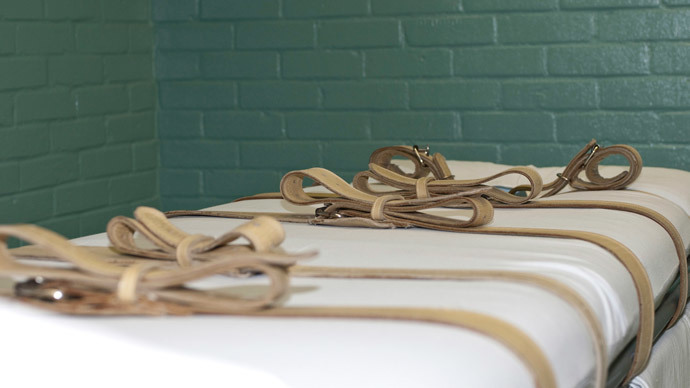 "We're thrilled that Nebraska has joined the ranks of states to recognize that the death penalty is broken beyond repair," James Clark of Amnesty International told the Huffington Post.